Tyler Hoechlin ... Michael Sullivan Jr.
Michael Sullivan, Jr.: There are many stories about Michael Sullivan. Some say he was a decent man. Some say there was no good in him at all. But I once spent 6 weeks on the road with him, in the winter of 1931. This is our story. Q: Is Road to Perdition a remake of Lone Wolf and Cub? Q: Why did Mike kill Mr. Kelly? Did he take the money? Many have either hated, loved, or been let down by this film. Hype does terrible things to the best and worst of things. Most of the reasons i have heard for not liking this film are ridiculous. Let me just tell you, if you have not seen it yet, go see it. Even if for some reason you don't think its amazing, it will be among the best films you have seen of the year anyways. 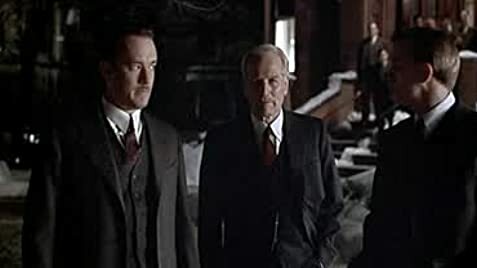 Road to Perdition is a beautiful movie, both visually and in performance. Every actor here is deserving of acclaim and Academy attention, mainly Jude Law. Any emotional detachment is intentional; It is a tragic story, one of betrayal, love, bonds, and revenge. There is no doubt this film will become a classic. Don't dare compare it with Godfather: this is a GANGSTER film, not a MAFIA movie! Godfather will never be surpassed, so don't compare to it. 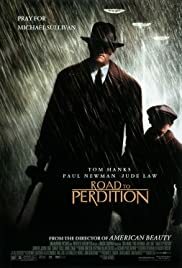 Road to Perdition as of now is the leading Best Picture Oscar contender. Unlike past years, it deserves it. 169 of 210 people found this review helpful. Was this review helpful to you?